Fox Pest Control provides pest control in Rochester and the surrounding areas. We take pride in providing exceptional customer service, and take to heart the feedback we hear from each and every one of our customers. 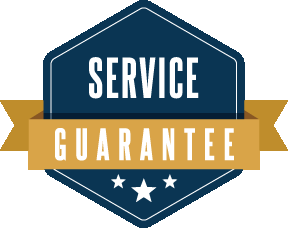 Below you’ll find our reviews, testimonials, and feedback from the home owners and businesses in Rochester we’ve serviced. If you need a Rochester exterminator, contact us today! Joey was great! Very informative and easy to work with. A very pleasant experience all around. Joey did a great job! Joey was extremely professional and knowledgeable. He answered all of our questions and gave us additional information that we hadn't even thought of! We would definitely recommend him to our family and friends. He was very personable and we felt comfortable having him work both outside and inside our home. Joey did a fine job. Parker did a wonderful job explaining what Fox Pest Control is. We do have a problem this year with spiders and ants and he explained the process they use to get rid of the spiders. I also asked if what they use is save on the environment and on pets and people. He answered all my questions satisfactory. Daniel came by the next day and performed my pest control and he too was very professional and thorough. He explained everything to me as he was was performing his job. Parker stopped by later to make sure we were happy with the service. I will definitely use this company again.